Why I Love County Fairs! I love the county fair! I usually manage to make my way to the fair multiple times during the fair week. Okay, I will admit it, I am there every day! 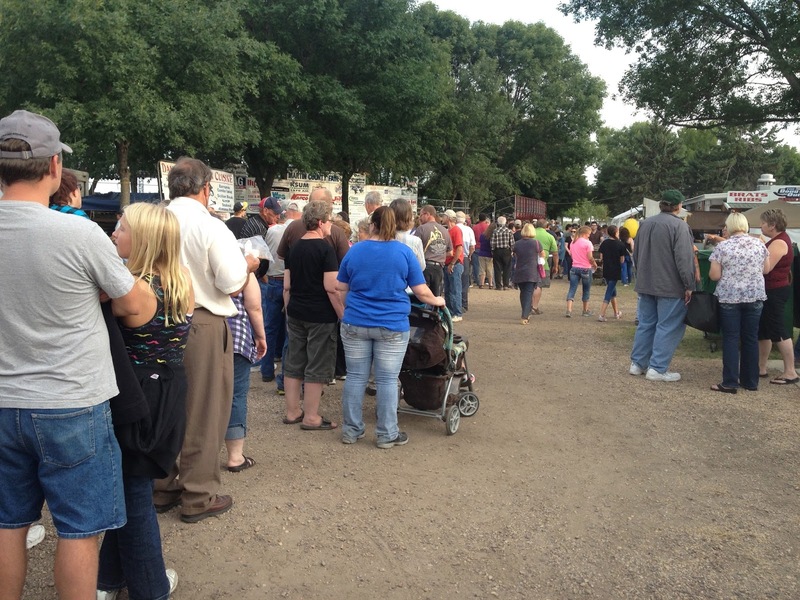 Yes, living in rural Minnesota, where the “big time” fair entertainment and exhibits that larger fairs have, is usually not available to us. We live in rural America for other reasons and I wouldn’t trade rural living for anything. 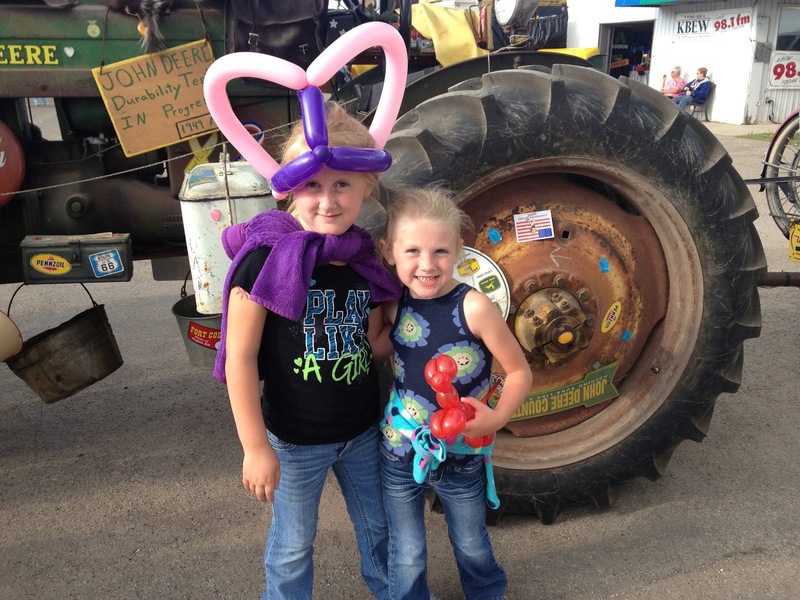 The county fair is one event many locals look forward to. 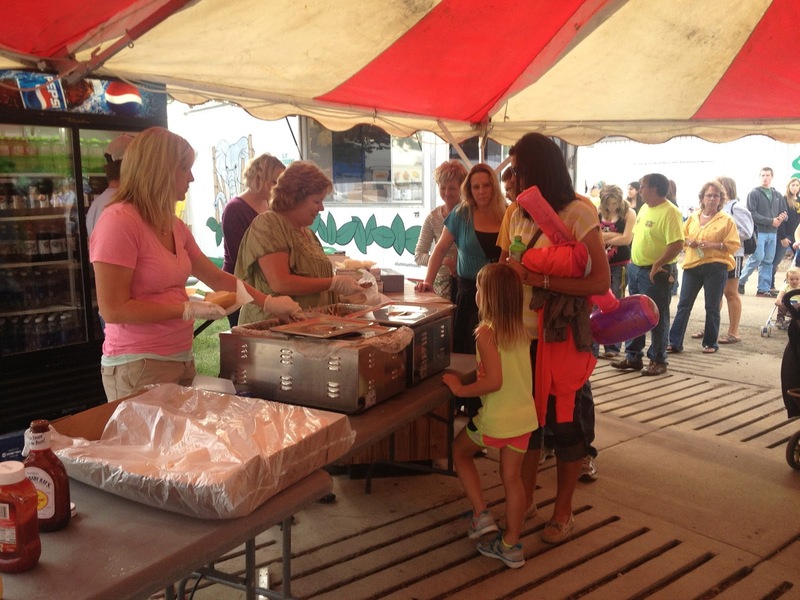 It appeals to many – for some it may be fair food or the livestock shows, for some the midway entertainment, and others the entertainment, 4-H, or just seeing friends and neighbors. Oh, and did I mention the food? For me, it’s a combination of all. It’s one place you can go and have conversations with friends and neighbors (and some days you don’t get very far because of all the people you NEED to stop and talk with), look at the 4-H exhibits where kids are showing all their hard work of the year, look at the animals (where you can have some great conversations with children and grandchildren), have a scrumptious pork chop followed by a chocolate diary malt, and then make your way to the park and listen to some great music. The county fair really starts before the fair. As I drive by the fairgrounds the days and weeks prior to opening day, you see the hustle and bustle as preparation is underway. People start talking about the entertainment lineup, the changes to the fair from the year before and the wonderment of any new food finds. 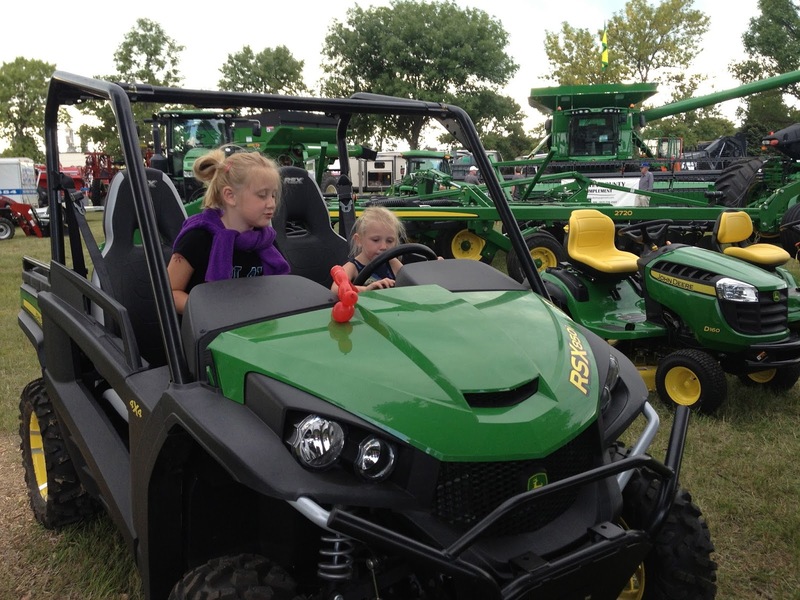 Implement stores start to bring in tractors for display so farmers, farmer wannabes and children can climb into the driver’s seats to “try them out”. There is a scurry of activity before opening day. 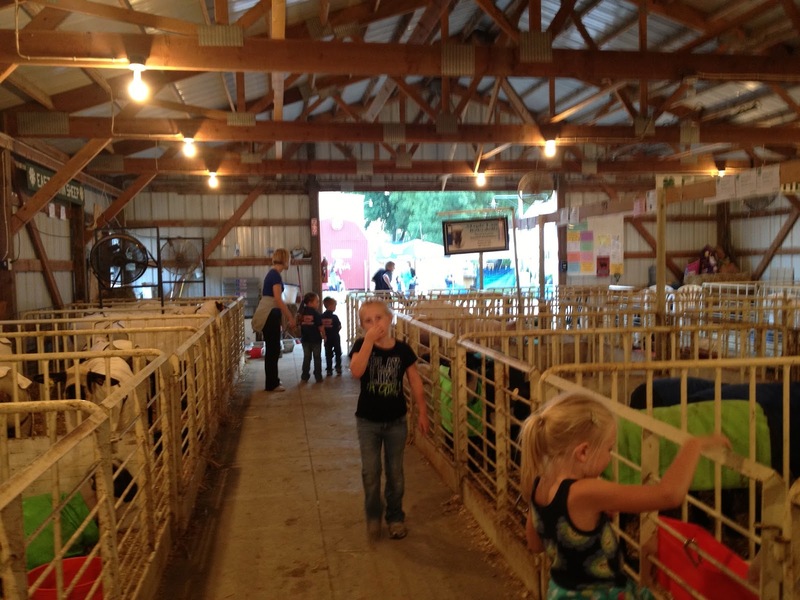 Our county fair happens to be the Martin County Fair in southern Minnesota. And I know I am biased, but I truly feel that we have one of the best county fairs in the area. 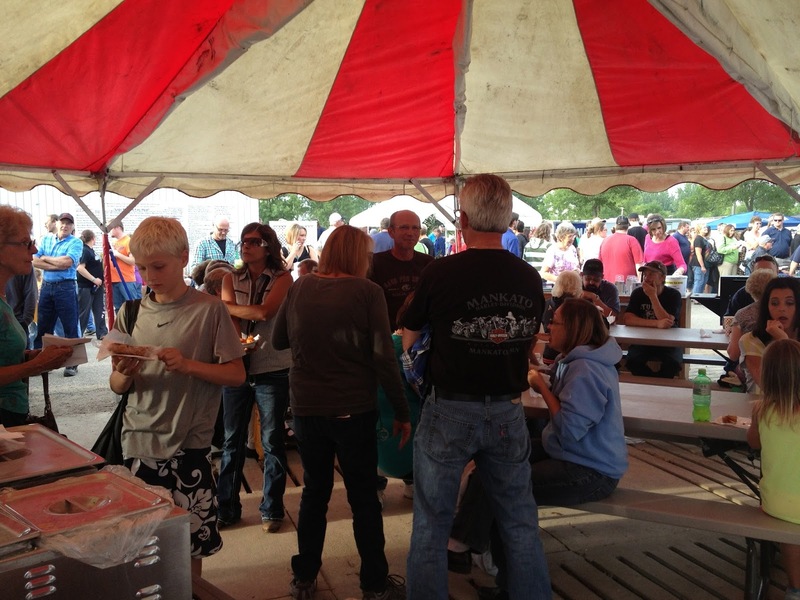 The fair board offers a wide variety to all fairgoers. The board takes pride in their job and you see that pride everywhere. They change things a little bit each year to keep it fresh. Entertainment is tricky for small county fairs. They usually have a limited budget and try to sign musical acts that are on their way up. Our county fair board was able to contract artists such as Keith Urban and the Band Perry, as they were climbing their way to the top. Or they may sign artists that were popular earlier, such as John Michael Montgomery. The entertainment performs in a small park, which for fairgoers, is a very close and intimate setting. And the great thing about it? All these entertainment acts are included with the price of admission to the fair. It truly is a bargain! I am going to share some pictures taken at our county fair. Hopefully, you will see why they are special to rural America! 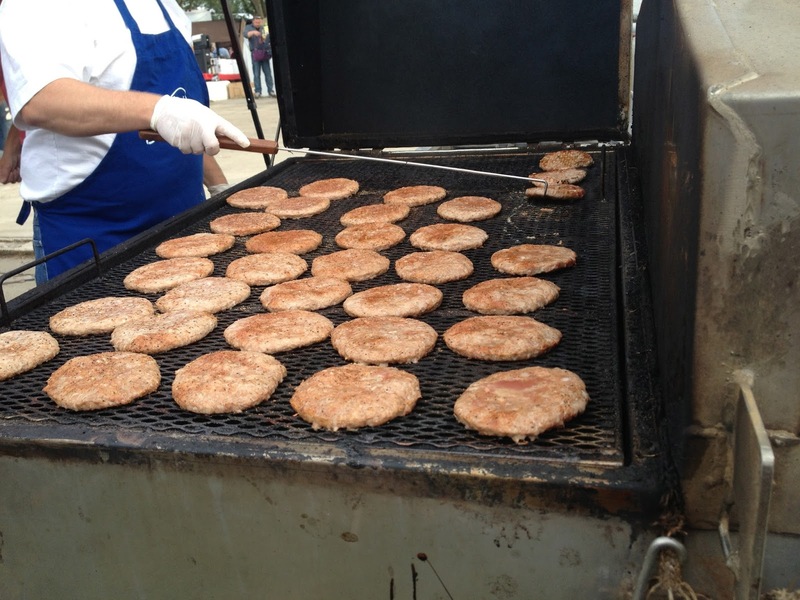 Grilling pork patties at the Martin County Fair! granddaughter out in the barns more! Great free entertainment in amongst the farm machinery! 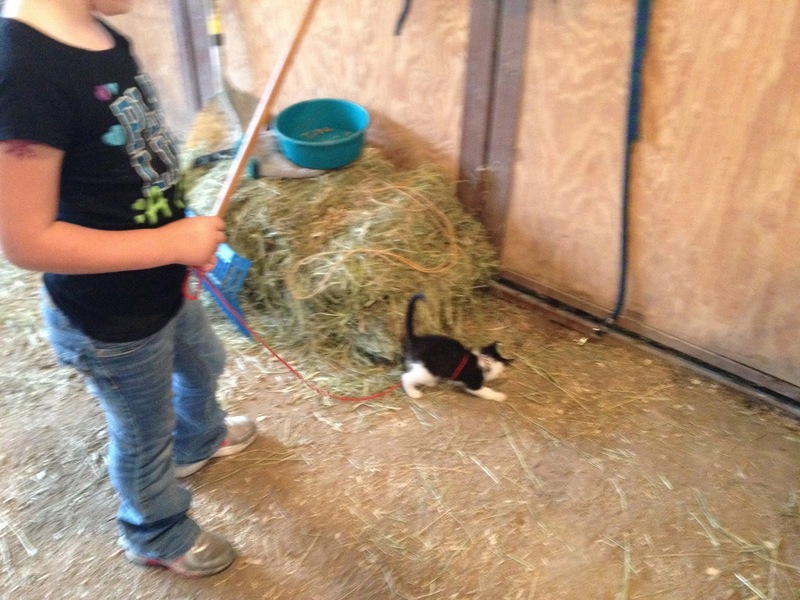 Even kitties are cute at the fair! 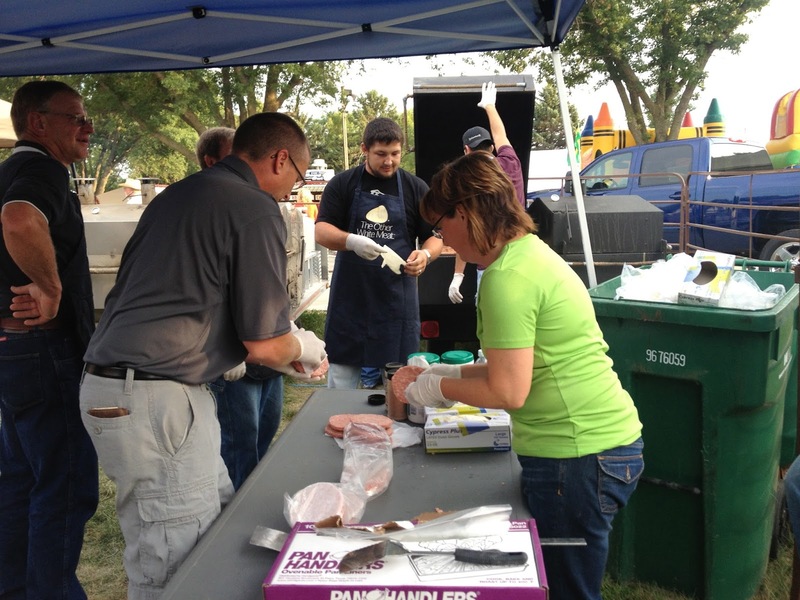 Fairgoers love our pork chop on-a-stick! Everyone volunteers. This shift we had our family working. It was a lot of fun! Working hard because we love pork and are proud farmers! Your pictures are wonderful and bring back lots of memories of the county fair when I was little girl growing up in Michigan. We even got a week off from school to go to the fair!!! Thanks for sharing! Just stopping by from the GRAND Social Linky Party, hope you get a chance to do the same. What fun! I haven’t been to a fair in years. I’ll have to put it on my to-do list. Stopping in from the Grand Social.